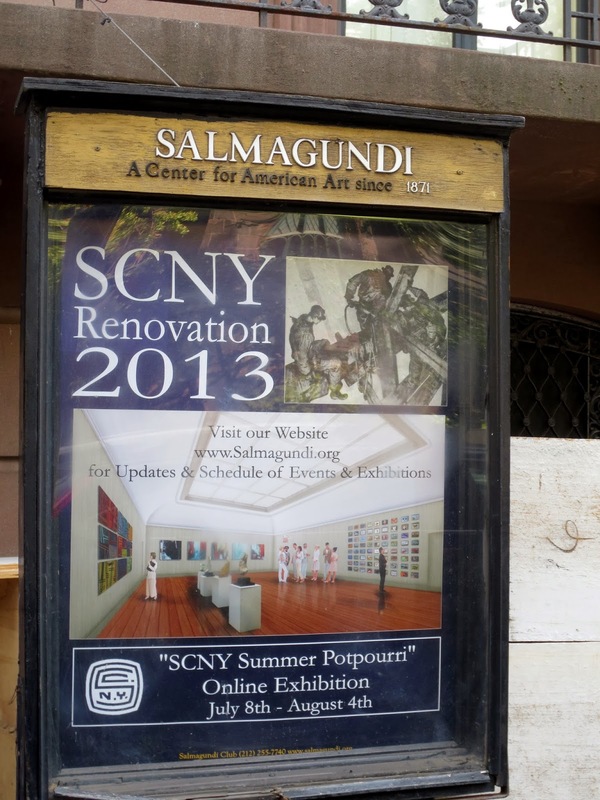 Big Apple Secrets: What is Salmagundi? 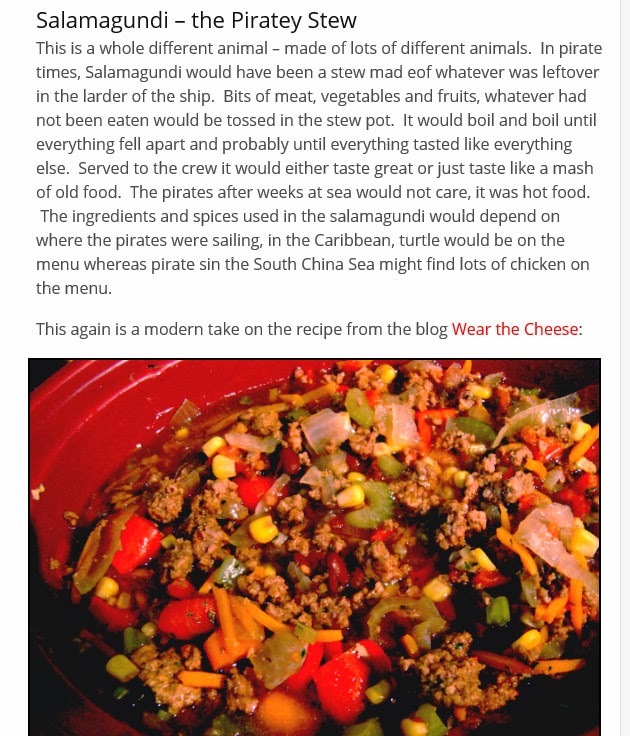 Salmagundi refers to either a salad like dish or a pirate-style stew that came about in the 17th and 18th centuries . 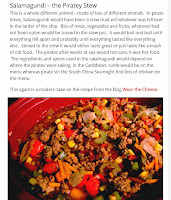 The stew includes anything the cook has on hand. 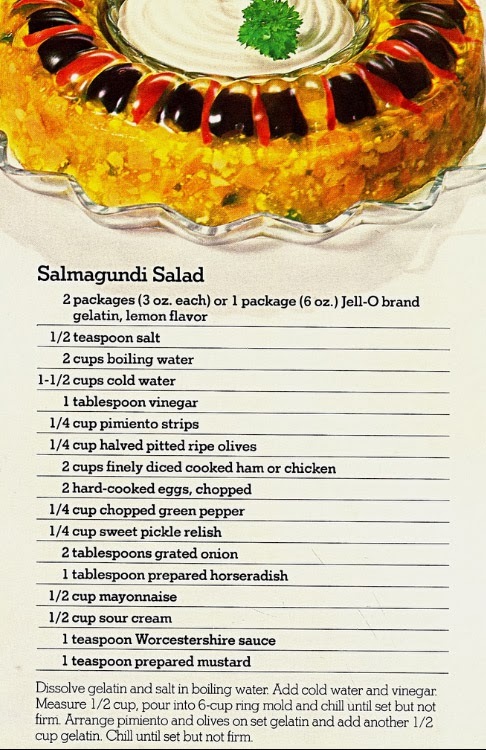 Salmagundi as a salad has meat, anchovies, eggs, and onions, often arranged in rows on lettuce and served with vinegar and oil, and spiced with anything available. The French word "salmagondis" means a hodgepodge or mix of widely disparate things. 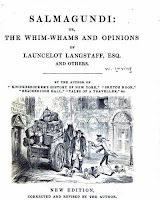 Salmagundi is also a name of a the literary magazine that was found by Irvin Show in January 1807 in New York. Irwin Show is American playwright and novelist whose written works have sold more than 14 million copies. 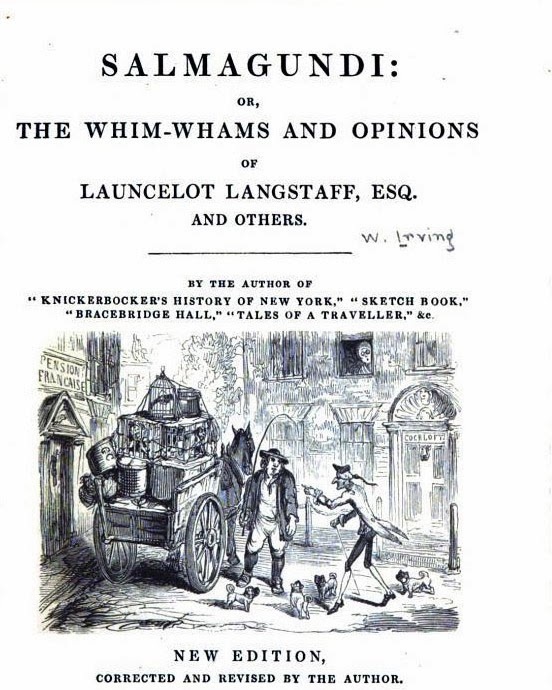 Irvin used different pseudonyms such as William Wizard and Launcelot Langstaff and wrote a lot of satiric articles about the life in New York . In its seventeenth issue, dated November 11, 1807, Irvin used the word "Gotham" as a nickname for New York for the first time. 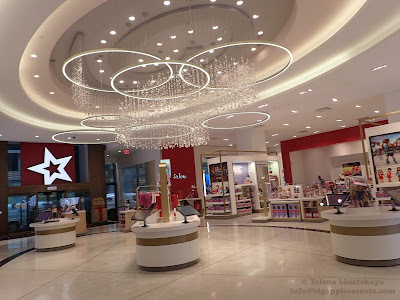 I wrote about it in one of my earlier posts. Salmagundi is also a name of the club, one of the oldest art organizations in the United States. 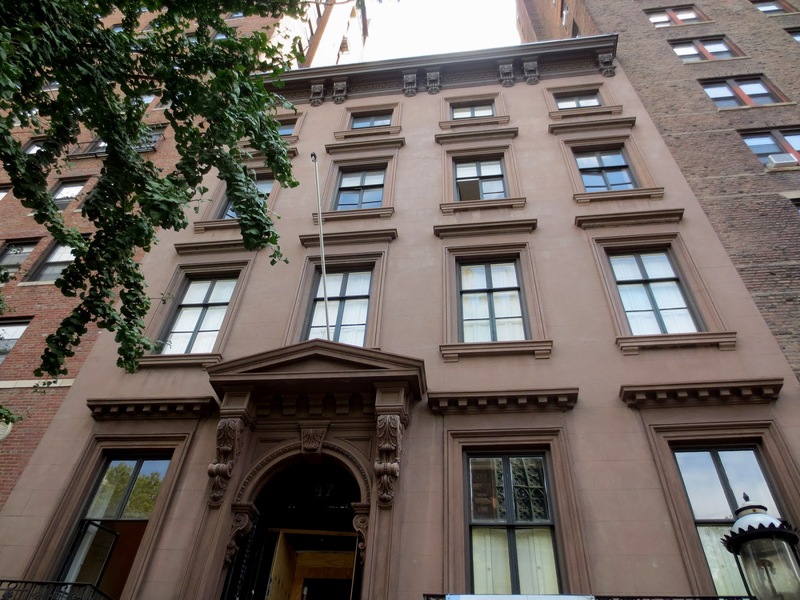 Salmagundi Club, originally called the New York Sketch Class, it had its beginnings in Greenwich Village where in the studio of the sculptor Jonathan Scott Hartley a group of artists, students, and friends at the National Academy of Design gathered weekly on Saturday evenings. Hartley sculpted three of the nine busts around the front of the Thomas Jefferson Building of the Library of Congress in Washington, DC. 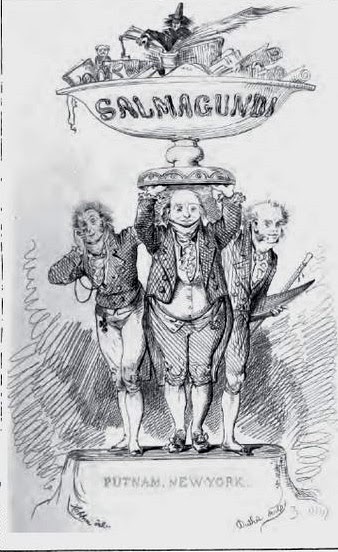 The Club adopted its present name a hundred years ago after Washington Irving published "The Salmagundi Papers". 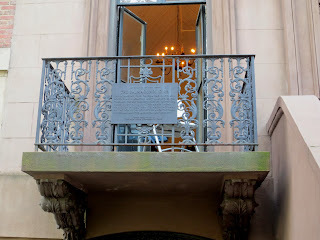 The name also serves as the club dining room's famous "Salmagundi Stew". 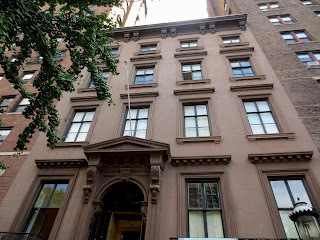 The club had several temporally locations and in 1917 purchased the 1852 Irad Hawley brownstone townhouse at 47 Fifth Avenue between East Eleventh and East Twelfth Streets. Hawley was the first president of the Pennsylvania Coal Company. The borough of Hawley in Pennsylvania in Wayne County was named after him. The Club offers programs including exhibitions, painting demonstrations, and art auctions throughout the year for members and the general public. The club has three galleries, a library, and a restaurant and bar with vintage pool tables. All facilities are available for special events and private rentals. The Club owns a collection of over 1,500 works of art spanning its 140 year history and has a membership of nearly 850 artists and patrons. 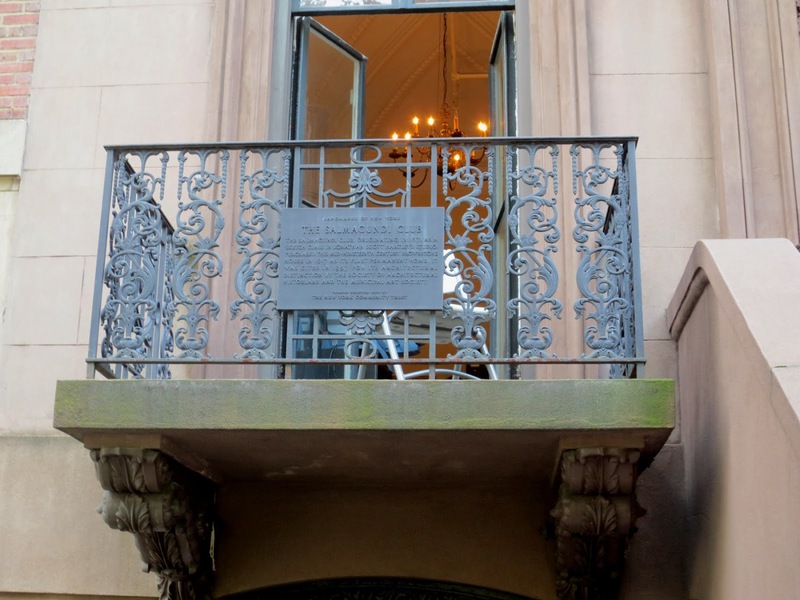 The Salmagundi Club offers a variety of Art Classes, all open to the public. All classes are $20 per class to attend and are "walk-in" classes (no advance notice is required). Attendees must bring their own art supplies but easels and tables are provided as are models for the life drawing classes.